Are you looking for the perfect place to stay during your next family vacation? Rustler’s Inn, tucked away in Central Oregon’s oldest community, offers ample opportunities to indulge in western heritage and hospitality. Enjoy a myriad of modern amenities in our rustic, old west lodgings in Prineville, OR. You won’t find a more comfortable spot to take in the charms of the good old days. Experience a step back in time to life on the frontier when you plan your next stay at our western inn. The look and feel of our old-time inn is sure to give you and your family the feeling of walking the streets in cowboy boots or a hoop dress. Our saloon-style look aims to please the westerner in you. All it takes is a glance around our lobby and rooms to develop a real appreciation for our western-themed amenities. Oregon is the place to be if you’re an outdoor enthusiast. Be sure to ask our knowledgeable staff at our western inn for tips and travel destination ideas as well before you head out. Many locals often have secret spots they frequent and will enjoy sharing their find for you to appreciate and make you stay with is even more special. You deserve to stay in a western-style inn that offers all of the amenities and experience you want. Seasoned travelers know that their choice of lodging defines their journey. When you turn to us for summer and winter vacation home rentals, you’ll have everything you need to enjoy your time away to the fullest extent. Browse our selection of rooms and book your stay today. Contact us to reserve your room at our western-themed inn. We proudly serve families and individuals staying in Prineville, Oregon. 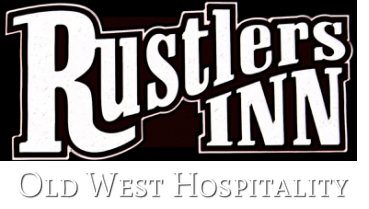 The Rustler's Inn is a local business owned by the same family for over 30 years.